I’ve rotate the map 180º for ease of viewing. 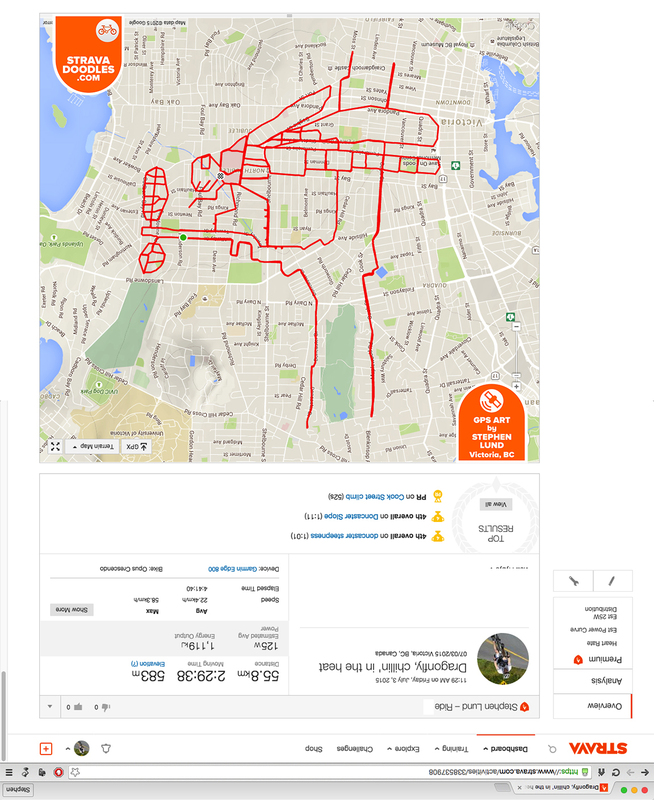 This entry was posted in gps art and tagged creativity, cycling, cyclist, dragonfly, garmin, gps, gps art, insects, strava, strava art, street art, urban art, victoria bc, wildlife. Bookmark the permalink. Yesterday I was riding in a heavy fog and light drizzle. You’d have felt quite at home I’m sure!